Good quality. Nice deep brown. Wipe up nicely. Southshore Fine Linens offers quality bedding at an affordable price with a 1-year limited warranty. Purchased a set of these, size 18” x 18” in color gold. The fabric is lovely and soft, and the classic stitching design is nicely done — no loose threads, etc. ... overall quality is excellent. General rule of thumb is to use pillow inserts that are 2” larger than the pillow cover you’re filling (so, 20x20” insert for an 18”x18” pillow cover, 22”x22” insert for 20”x20” cover, etc.). However, these 18x18” gold pillow covers are too small for the 20x20” inserts I bought — (covers don’t fully close at the back) so I tried 18x18” instead, and they are perfect. Would buy again, and I may purchase more in other colors to switch out now & again for a change. I like these a lot. Nice quality and very soft. Would definetly recommend these I got the pair for $ and added 26inch euro inserts. I bought 22 inch pillows and it’s perfect. I love the euro shams. I purchase these shams in a contrasting color to accompany my 3-pc quilt set by the same company. The shams are very thick and durable. I have washed them multiple times and the cover remains the same. I have the 28 inch euro pillow inserted in the 26 inch euro sham. I purchased these to go with a comforter set I also got an overstock. They look fabulous. 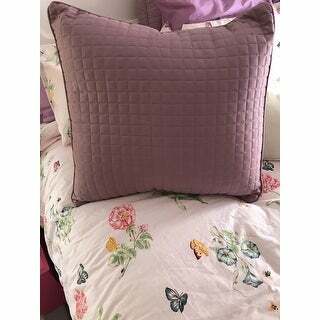 I love these quilted pillow covers and they go perfectly with the quilt set I purchased. After receiving them I decided to order two more in the Euro size to complete the look I wanted. Very nice quality too. Nice shams, exactly as described and good quality. 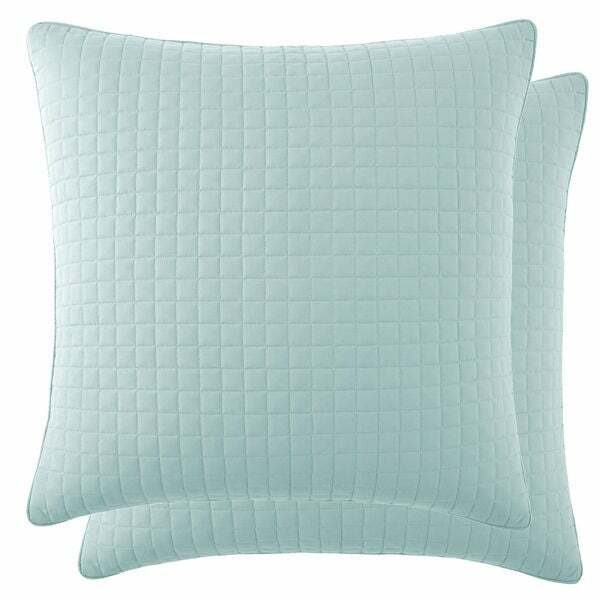 Very bright white and they fit our pillows perfectly. Would highly recommend these to anyone looking for good quality. Love the sham color is exactly as pictured. True to size the fabric will hold up when washed. Worth the money. I am very happy with purchase. Remember that there is two per package. Looks great on the bed. The pillow shams matched my decor perfectly. 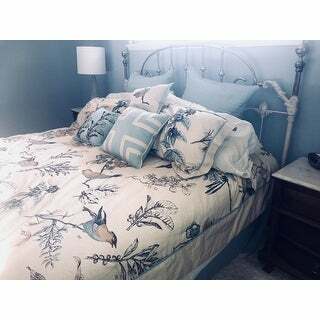 The shams added color and flair to the bedding. Very well made. Gorgeous color true to photo. Love them. Wrong size sent - I have to pay for the shipping even though I ordered the correct size; now the size I wanted is no longer available. Probably wasn't available when they went to fulfill the order thus the reason for my getting the wrong size. Awful. I was amazed at the awesome quality!!! Love them! 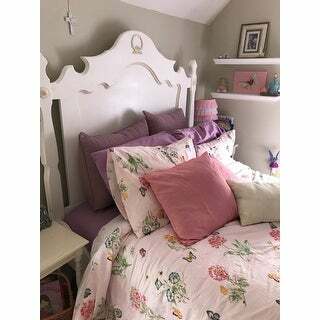 These shams fit the European pillows very well. Excellent quality. I would definitely recommend them to a friend. I didn’t like the fabric and color didn’t match so I did return the items. Love these shams! They are the perfect color for my decor and are of a nice quality. I would buy this product again and definitely recommend them to others. Was very pleased with color and style of fabric. Did not disappoint. "Is the casual and modern brown the Chocolate Brown?" "Chocolate Brown? I Need to order The Chocolate Brown do you have any?" "when will chocolate brown be available?" "I want to order a set, but don't know the name of the color. It's the 9th pillow in the line of colors. What is the color name?" Dark taupe, pillows are labeled if I didn't count correctly. "The color slides don't match the color name with the color picture. Which one is bone and which is off white?" It is hard to find Euro shams. Very pleased with this discovery. I've been looking for different colors of Euro shams and I can't find too many colors and designs in euro shams. I had to pick bone because most of the other colors were gone, so I went ahead and picked Bone. "What color is the pillow to the left of the chocolate brown in the photos? It looks like a blue, but not navy." The color Swatch left of the chocolate brown swatch is Coronet Blue.